We take many technology advancements for granted when it comes to modern road and rally cars. We expect the cars to be powerful, yet efficient. We expect them to be able to tackle the turns without problems. When we need to slow down, we rely on the brakes to safely shed our speed. We take for granted that the fuel injection to provide the perfect mixture of fuel and air for the engine to run smoothly and effectively. And, now more than ever, we are used to the fact that four-wheel-drive will get us through difficult conditions without hassle. It wasn’t always that way. In the early days of motoring, solutions to these problems kept the greatest engineering minds of their generations busy. Slowly and gradually, the technology evolved from basic and rudimentary to become more and more advanced. The progress came gradually at times and in leaps at others. Sometimes, the inspiration came from outside, often from military technology – be it army vehicles or airplanes – while at many other times, motorsport was the leader of the new inventions. Over the last year, we’ve brought you a series of stories focused on the some of the most important of the technologies that make your personal car more efficient and safer, and at the same time allow the rally cars, like our ŠKODA FABIA R5, to achieve extraordinary speeds even in adverse conditions. Let’s go back and revisit these articles! It used to be that you had to choose: will your engine be powerful, or good on petrol? The turbocharger, originally invented to give airplane engines more power at high altitudes, changed that. First, it made some cars really fast. Then, it was used to make many more fast andfrugal. Read our fascinating take on the history of turbocharging! At the first glance, making the car change its direction may seem easy. Just turn the front wheels around and the rest of the car will follow suit. The problem arises when you realize that inner and outer wheels will cover different distances – and thus have to turn at different speed. That’s why the differential was created and we tell you its story – beginning in ancient China. Brakes: How to Come to a Stop Safely? As cars became faster, it soon became clear that stopping methods from horse-drawn carriages, like rubbing a wooden block against the wheel, wouldn’t suffice. Soon, the first drum brakes appeared, but in just a few decades they were inadequate again. The time had come for disc brakes and, after many years, we ended up with modern solutions like the 355 mm Brembo disc brakes on the FABIA R5. In our story, we trace the story of brakes – from their first steps, through their use in aircraft or military vehicles, to today’s modern racecar applications. There are not many things more important to an internal combustion engine than the right mixture of air and fuel. In their early days, cars used carburetors, fine and complicated but still rather ineffective devices. The road to a better solution – fuel injection – was, as usually, long and winding. Once again, it started with fighter planes and then continued with racecars, finally ending under the hood of your everyday driver. Or, of course, under the hood of a modern rally car. This time, the story was so long and interesting that we decided to split it into two parts, the first describing how fuel injection first got into cars and the second about its journey from those first steps in racing to the modern day. It’s almost impossible to imagine a modern, top-level rally car without its four-wheel-drive. The same is increasingly true about ordinary street-driven cars. With the four-wheel-drive getting more efficient, more reliable and more affordable, drivers are increasingly opting for its better traction and improved stability. A few decades ago, though, the 4×4 was something mainly reserved for military and off-road vehicles. 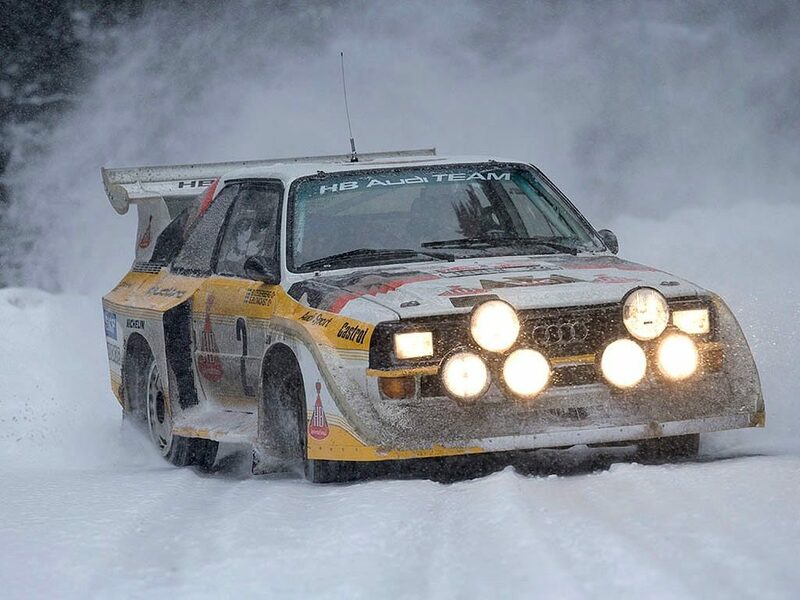 It took a hugely successful rally car to change the world’s view of it. Once again, we have split the story in two – the first part is about the 4×4’s beginnings, and the second tracks its journey from military off-roaders to rally cars and on into your typical family car.